Family caregivers selflessly care for their vulnerable loved ones, often without accolades or even thanks. From budgetary constraints to emotional stress, caring for an aging loved one can stretch you beyond what you think you’re capable of handling. As isolating as this role can sometimes be, it’s essential to remember that you’re not alone. There are a wealth of resources available to help you ensure your loved one’s physical, mental and emotional well-being without compromising your own. Below, we’ve compiled a list of this year’s best caregiving-related books, in no particular order. The roundup includes stories from caregivers who’ve been there, encouraging news on the latest breakthroughs in Alzheimer’s disease treatment and practical how-to guides for anyone caring for an elderly person. 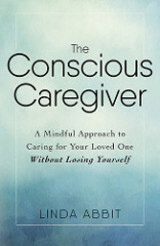 “The Conscious Caregiver” should be on everyone’s list of most helpful books for caregivers. Linda Abbit, expert caregiver and founder of Tender Loving Eldercare, shares invaluable advice for gracefully handling the demanding role of caregiver. She discusses the hard work, patience and emotional stress caring for another person can cause. She also talks about how common it is for caregivers to sacrifice their own well-being for the good of another person and how doing so can be counterproductive. This compassionate guide emphasizes the importance of caring for yourself while you simultaneously care for a parent or other aged relative. This touching book covers heavy topics while artfully incorporating just the right amount of humor and entertainment throughout. Caregivers struggling to accept the role can find comfort and wisdom in this raw and honest story. The grip of Alzheimer’s disease relentlessly pulls away at memories and changes those afflicted on a fundamental level. Author and former Wisconsin Gov. Marty Schrieber is intimately familiar with the illness. As the primary caregiver for his beloved wife, Elaine, Marty learned how to love and care for the new Elaine, even as the wife he loved so much slowly retreated. 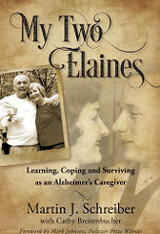 His caregiving book “My Two Elaines: Learning, Coping, and Surviving as an Alzheimer’s Caregiver” is infused with patience, guidance and even humor as he talks about how to provide round-the-clock care to the loved one who no longer recognizes you. 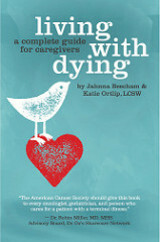 “Living With Dying: A Complete Guide for Caregivers” is one of the year’s most informative, practical books for caregivers. Authors Katie Ortlip, RN, LCSW, and Jahnna Beecham offer easy-to-follow tips for addressing various symptoms, having tough conversations with your aging loved one and giving the best possible care. In this book, former research scientist and hospice quality consultant Melanie Merriman delivers a raw, matter-of-fact take on one of the most universally challenging roles a person can take: that of caregiver. The author shares her own personal experience to paint a stirring picture of what it’s like to guide and support a parent through old age. 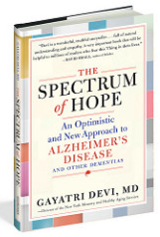 Author Gayatri Devi, a neurologist with more than 20 years specializing in memory loss and dementia, offers encouragement to those with dementia and their loved ones and emphasizes the possibilities for living fulfilling lives even as the disease progresses. Topics covered in the book include maintaining independence, communication with someone who has dementia and dealing with dementia-related behaviors like paranoia. “Chocolate” and “courage” are just a couple of the key words that author Michael Fortuna believes defines the life of a caregiver. 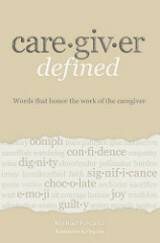 His book, “Caregiver Defined: Words That Honor the Work of the Caregiver” takes a unique and heartfelt approach to honoring the work of family caregivers, painting a picture of the role with an inspirational collection of key words and images. Caregiving can be one of the most rewarding experiences of your lifetime, but it can also be physically, emotionally and mentally draining. To help you give the best care possible to your parent or other loved one, read one or all of these informational and inspirational best books of 2016. "Cruising Through Caregiving" is a comprehensive, down-to-earth guide to the ins and outs of caring for an aging loved one. While the responsibilities of caregiving are far from easy, author Jennifer FitzPatrick aims to help readers be the best caregivers possible without sacrificing their own health, relationships or career. 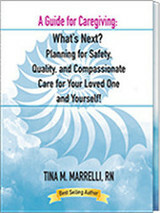 Drawing on her own personal and professional experience, the author tackles everything from how to get other relatives to help with caregiving duties to handling your loved one’s declining health, finances and legal documents. Many people know Kimberly Williams-Paisley from her starring role in the popular "Father of the Bride" movies, the TV show "Nashville" or as the wife of country star Brad Paisley. In "Where the Light Gets In," Williams-Paisley pours her heart out about how her and her family’s lives changed after her beloved mother was diagnosed with a rare form of dementia. Readers get an inside glimpse into how the author coped with her mother’s devastating diagnosis and progressive condition while raising her own young children. The book chronicles the many challenges of dealing with a loved one’s declining health and is a testament to the importance of a close-knit, loving family in getting through it. Clinical psychologists and married couple Barry J. Jacobs and Julia L. Mayer teamed up to write this book packed with affirmations and meditations specifically for caregivers, as well as hands-on advice about how to cope with the various challenges of caring for a loved one. The pair offers caregiving anecdotes and practical advice drawn from their own personal and professional experiences. 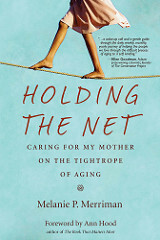 Some of the topics addressed in the book include handling caregiving-related sibling conflicts or marital problems and balancing caregiving and career. Author Iris Waichler combines expertise culled from her 40-year career as a clinical social worker and patient advocate along with her personal experience caring for her aging father to present advice on a range of caregiving issues in this book. The author gives resources and practical advice on elder care topics including different senior care options, estate planning and coping with common caregiving emotions like grief and anger. Like many of the books on this list, Don’t Stop the Music: Finding the Joy in Caregiving offers a mix of practical caregiving tips as well as inspirational anecdotes and lessons drawn from the author Nancy Weckwerth’s personal experience. 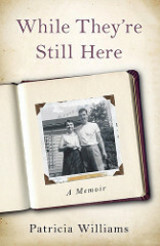 The book delves into the unique challenges she faced and lessons learned over more than two decades as a caregiver for her partner John after he suffered a massive stroke. “We didn’t choose our circumstances, but as a survivor, John has thrived. As a caregiver, I have thrived. I knew I needed to share what we’ve learned and how we did it,” Weckwerth said in a news release announcing the book. The book’s title says it all – the 204-page tome is meant to be a comprehensive primer on caring for a loved one with Parkinson’s Disease. While author Lianna Marie addresses many of the same problems that caregivers of those with other serious health conditions face, the book also includes detailed advice about how to address the challenges of caring for someone with Parkinson’s. Inspired by caring for her mother with Parkinson’s, the author tackles a range of related sub-topics, from the side effects caused by certain medications to how to help your loved one with specific physical symptoms and Parkinson’s-related depression to how to “Parkinson’s-proof” your loved one’s home. Humor infuses this mix of practical caregiving advice and personal anecdotes from author Christopher-Charles Chaney’s experience caring for his aging mother. The first in a planned series of caregiving books, "Mama Peaches and Me" is written both for new and experienced caregivers as they learn to cope with common caregiving problems like stress, burnout and depression. Many of the real-life stories Chaney shares will likely resonate with caregivers, and may spark some much-needed laughs. Author Jane Daly offers up insights from her experience caring for her aging parents and advice for how to cope with common challenges that caring for elderly parents brings. To name just a few of the issues covered in the book: how to know when your aging parent should stop driving, juggling care for your aging parents and growing children and grappling with common caregiving emotions like guilt. The book is written from the perspective of Daly’s Christian faith, but could easily apply to followers of different belief systems.